Russell Eponym with Poetry & Song…and DANCE! – Ce Soir Arts – Be inspired tonight! 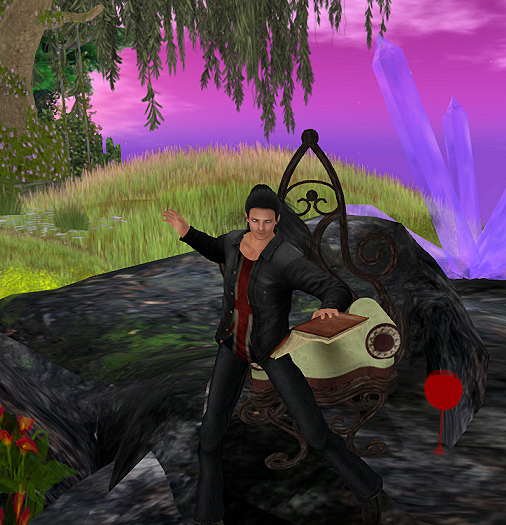 Russell Eponym with Poetry & Song…and DANCE! We had quite a surprise waiting for us at Russell‘s regularly scheduled reading on Tuesday, this week. We knew something was up, because he made a comment here or there, even before the hour began. Of course, it would be something special, as all hours at The Magic Tree with Russell are magical – poetry and verse from an incredible range of writers (including Russell, himself); music that lifts the spirit and soothes the soul; thoughts of the day that broaden our horizons and make us think. Add that inimitable charm that is Russell Eponym and the sheer delight of those wonderful people who gather – from near and far – to take in his poetic and lyrical offerings and bask in the warmth of shared friendship, and you’ve got something special indeed. 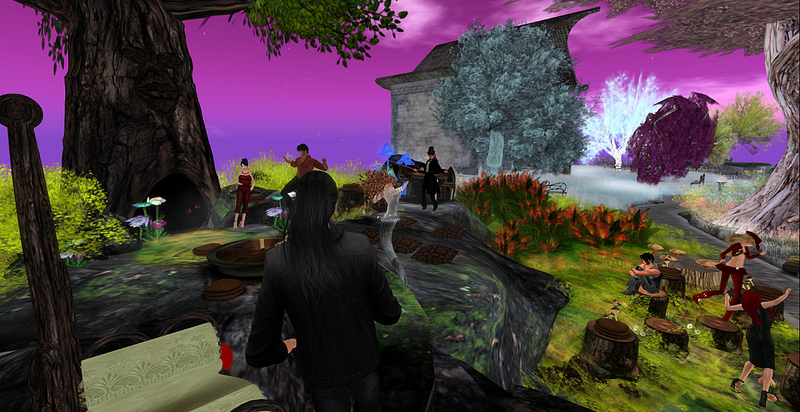 Aeon and I often comment on the wondrousness of what happens at The Magic Tree Reading Spot; it’s always a cherished hour, no matter who is reading, for they all bring something unique and lovely to share. I could go on and on here about so many who have come to impart beauty…and I am sure I will in future postings. In fact, you can come here this fall for some in-depth interviews with some of the artists, poets, actors, and musicians who have and will grace the place with loveliness, humor, and fun. All of us…groovin’ with Russell! What more can be said? 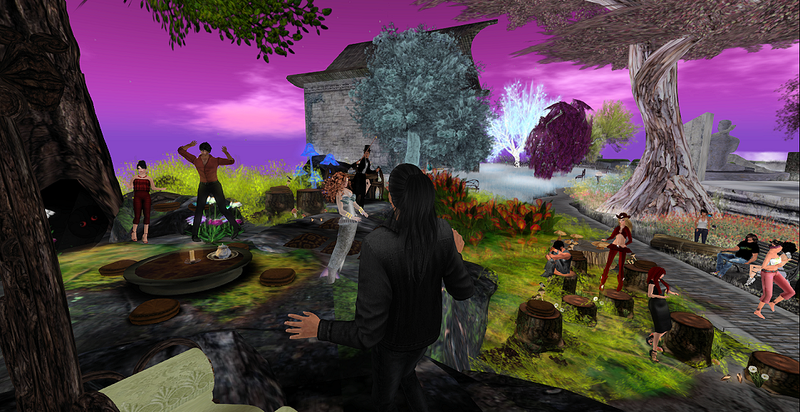 We had a ball – and we invite you to come and enjoy with us, as Russell Eponym, Poet Laureate of Ce Soir Arts, joins us for an hour of reading, rumination, and song that will delight and educate – every Tuesday at NOON SLT at The Magic Tree Reading Spot. His extensive knowledge, kindly spirit, and lively wit and wisdom make every hour an unforgettable experience. Reading from an eclectic mix of some of the best poets and writers of all time, Russell keeps us in rapt attention. Sharing his own original writing, he brings us insight and enlightenment, as his Thought for the Day opens us to new ideas and dreams. Russell generally opens with a beautiful selection of music from across the artistic horizon and then brings out the guitar for an original song or two as well. It is magical! Catch this breeze, and come along! Come…be inspired tonight!